A pretty machine, and famous too! 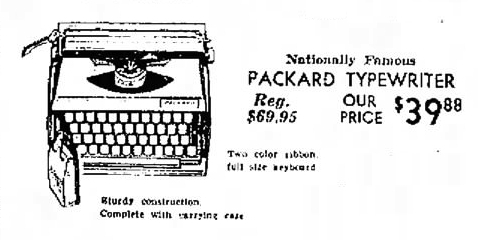 After a bit of sleuthing, I’ve located advertisements for the Packard, which was manufactured by Montana SpA, an Italian typewriter company. All of the ads are from 1967, and were placed in The Pocono Record by Community Jewelers in Stroudsburg, Pennsylvania. 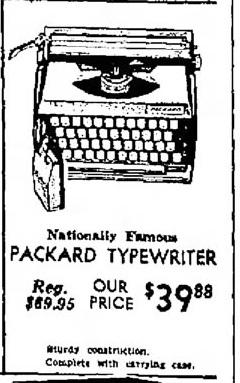 The typewriter was consistently advertised as “nationally famous.” At just under $40, it was a reasonably priced machine. 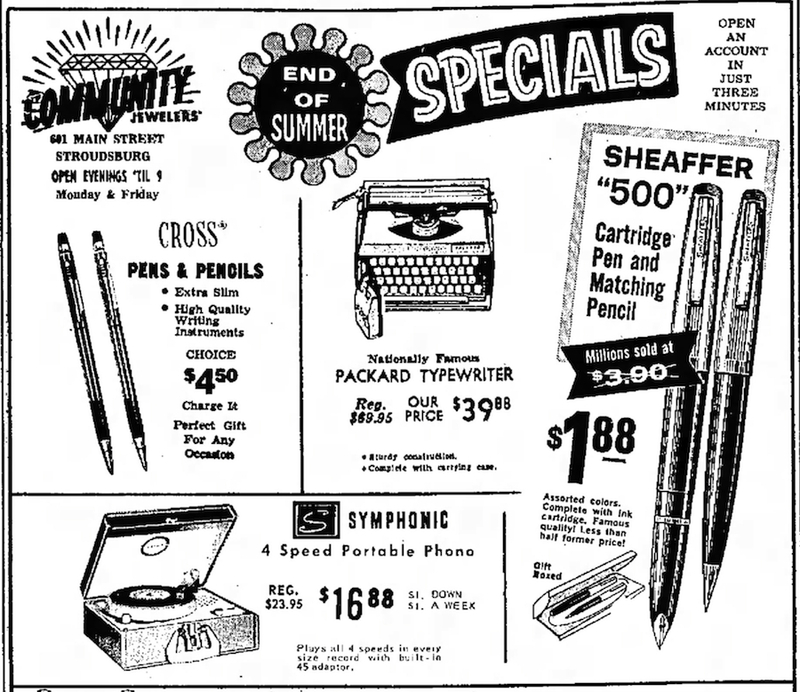 The Pocono Record, June 29, 1967 advertisement. 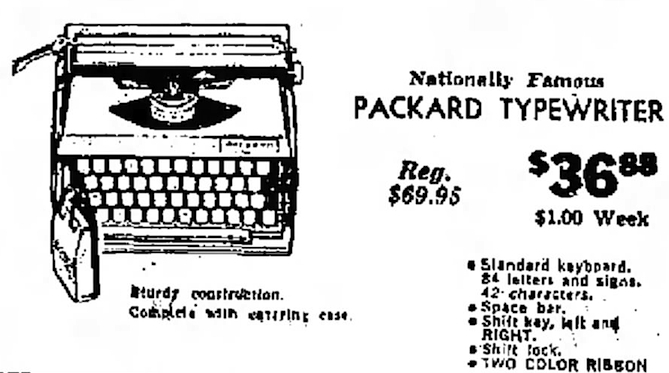 Note that the Packard includes “left and RIGHT” shift keys! The Post-Standard of Syracuse, New York – Dec 15, 1968. Notice also the advertisement for the Remington 666. It was fun looking at that ad from Community Jewelers, which at first looked perfectly natural to me, as I was 27 when it was published. But now the same ad would have a lot of blank space, leaving only perhaps the pencils. 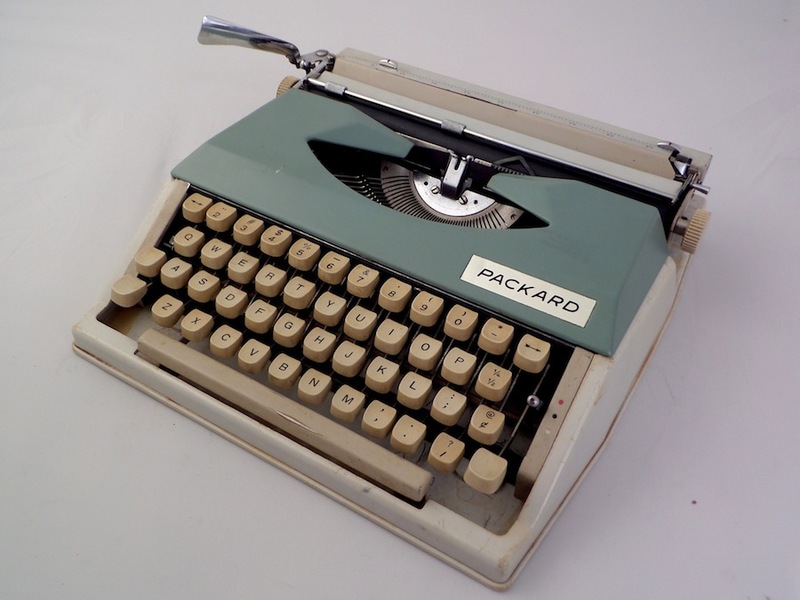 Now I enjoy being a part of the community of users of all those missing items – typewriters, vinyl records, and fountain pens (as well as film cameras) – while still having access to magical tools like a tablet computer to chat about them.